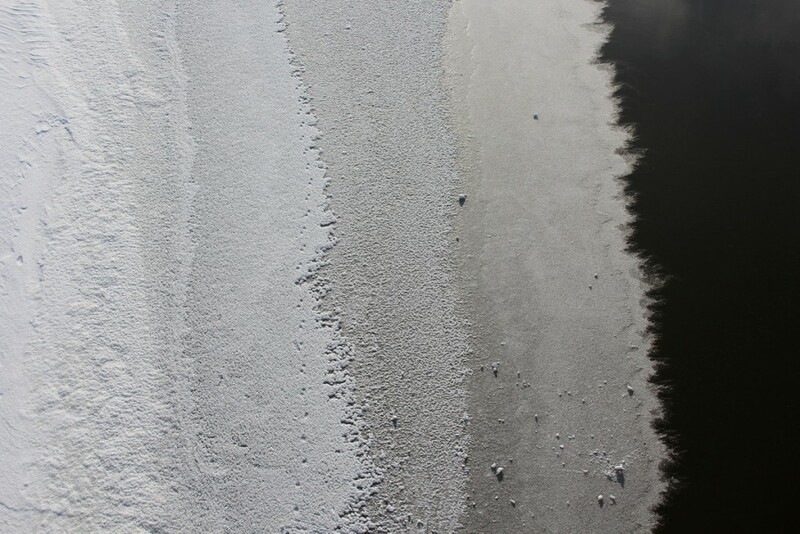 As the Red River in Winnipeg reluctantly freezes up, it’s overwhelmed in waves of cold. 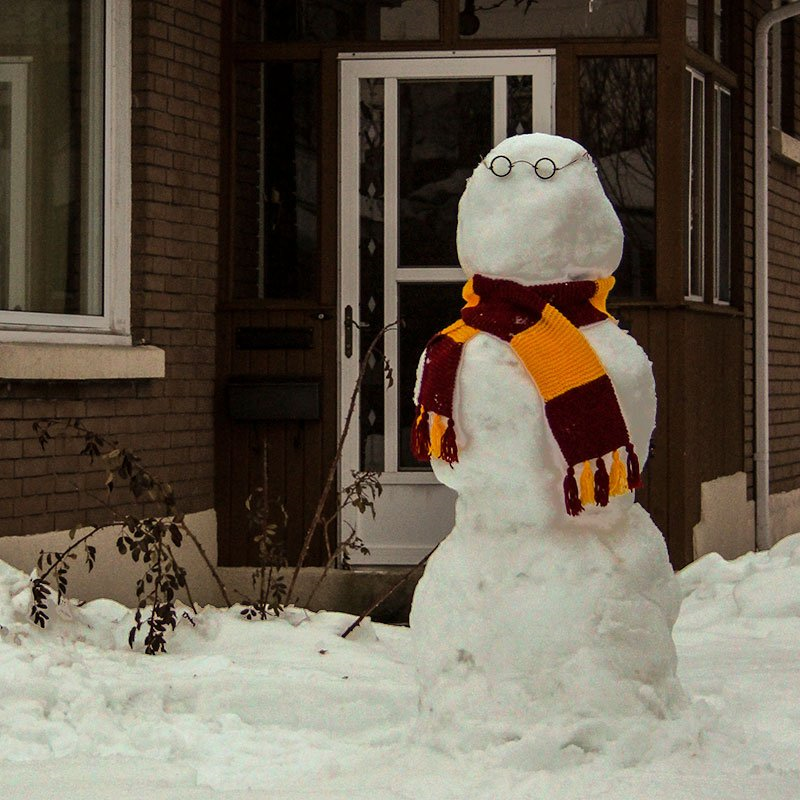 The neighbour’s kids put up a snowman over the warm weekend, so I thought I’d build their snowpile a friend – here’s Harry Snowpotter II. 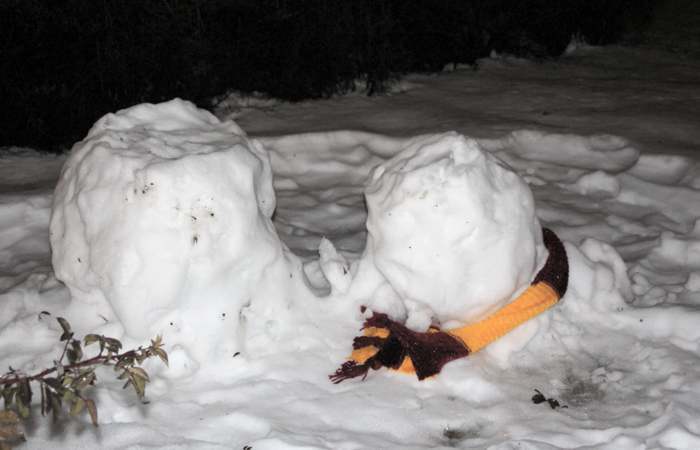 He didn’t last long though – I could blame it on the +4C temperature and drizzling rain, but I suspect he was murdered in the night by the evil wizard Voldemelt. 😉 Pretty sure I’ve traumatized the nearby kids – this is some Indiana-Jones-ending-style facemelting. 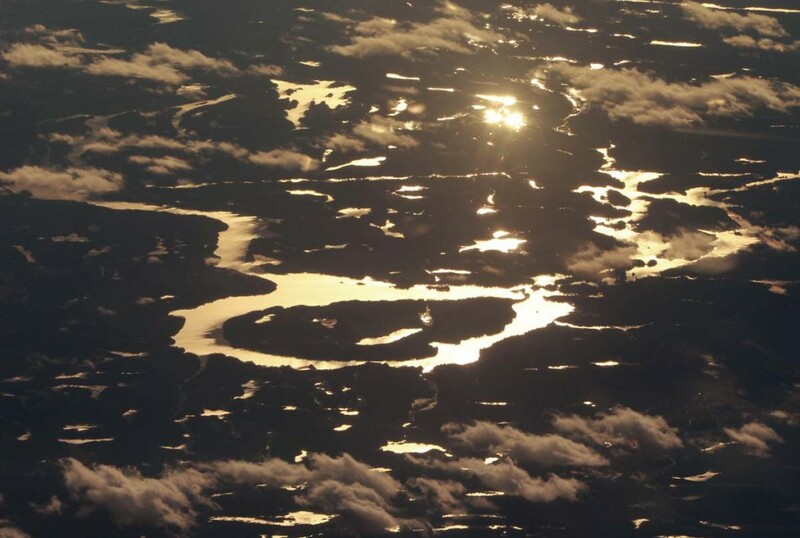 On a recent Westjet flight to Winnipeg, I caught the sun rising over Maskinonge Island, a circular lake just west of Lake Nipissing. It looked like a river of gold. Back in the mid-90’s I stood in line at the Exhibition Fair for over an hour to pay cash money to experience VR firsthand – a company called Virtuality were offering 5 minutes in their Dactyl Nightmare game for $20. 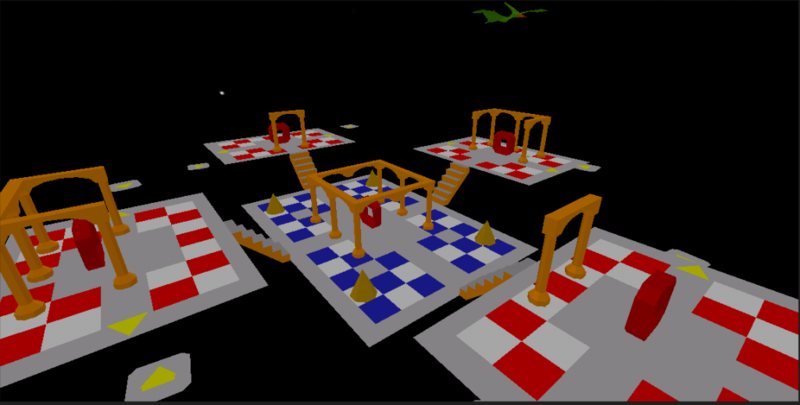 The game was rudimentary – five checkerboards connected by stairwells and floating platforms, and some faux-greek pillars you could roam around. Above us flew a polygonal pterodactyl on a circular animation path. The headset was laggy (see Barfogenesis!) and the viewing angle was extremely narrow. The pointer guns were impossible to use. 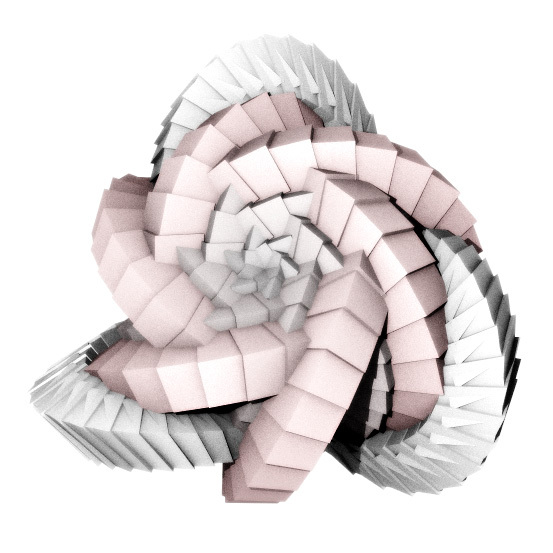 Nothing had shadows or texture, the 486 machines pounding out graphics were steaming under the stress of rendering the unshaded polygons. Despite the plentitude of flaws, as I walked up to the ledge of one of the platforms I saw the great expanse of space before me shift in parallax, and I WAS THERE. My brain completely exploded. It was a defining virtual experience that is burned into my memory – it felt completely plausible even through the pounds of sweat-stained plastic and glass I was viewing it through. The Oculus Rift is out in March for $599 US, and although I hear complaints that it’s expensive, I think it’s a bargain. $599 to enter a virtual world of your own design – to really BE there, in high definition, ultra-fast motion sensors, brilliant colour and sound? I paid nearly $600 for my first VCR. I’d pay twice that.